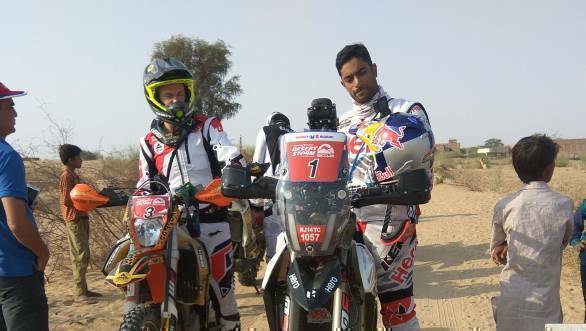 It was a gruelling Leg 2 of the 2018 Maruti Suzuki Desert Storm as riders and drivers made their way to Jaisalmer, where the rest of the stages are set to take place. 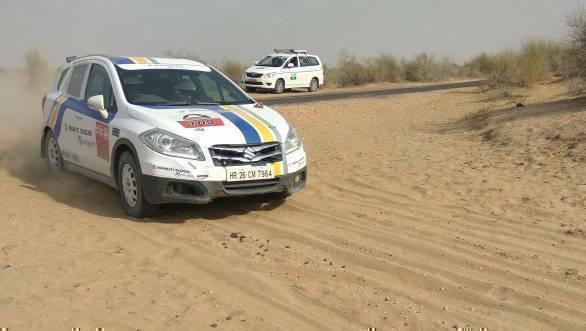 Maruti Suzuki Motorsport's Suresh Rana put up a dominant performance, in an attempt to increase his lead. 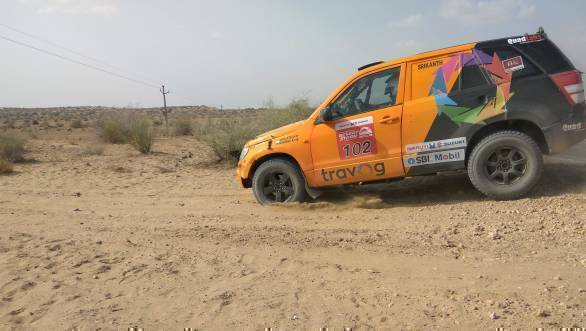 However, Abhishek Mishra, who is also driving a Maruti Suzuki Grand Vitara, managed to grab the lead at the end of Leg 2. He leads by a mere 30 odd seconds. As a result, in the Moto category, only 31 out of 38 riders lined up at the start for Leg 2. Hero MotoCorp's CS Santosh blazed ahead on his Hero Speedbrain motorcycle to retain the lead. During SS3, he was under pressure from Angata Racing's Aaron Mare who hails from South Africa. In SS4, however, Santosh managed to increase his lead to over a couple of minutes. 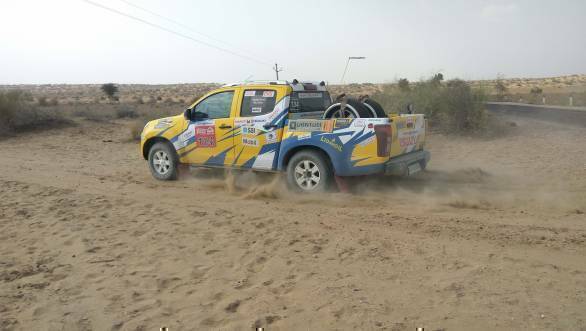 TVS Racing had a terrible start at the 2018 Maruti Suzuki Desert Storm. Aishwarya Pissay was forced to retire after losing her way in the first leg. Nataraj, on the other hand, had to quit after his bike developed a gearbox issue.